A trip to the heart of the Namib Desert in Namibia is a unique experience that you will never forget, the amazing vastness and beauty of this desert can only be appreciated by a dawn experience among the sanddunes. 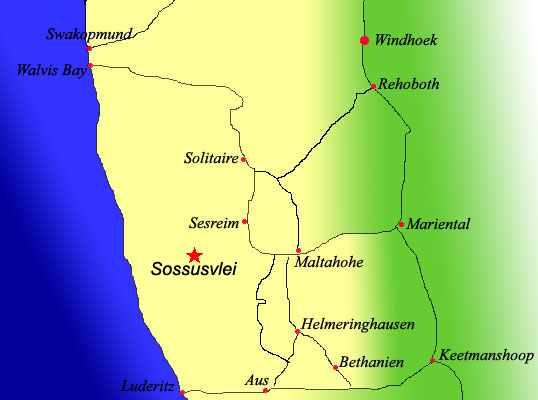 The Namib desert covers a large area of 80 900 km² (31 200 square miles), stretching about 1000 miles (1,600 km) along the Atlantic Ocean coast of Namibia, most parts of this enormous area is not accessible and getting into the desert is limited to one access point called Sesreim, from Sesriem you are able to drive into the deserts centre and experience the true beauty of the desert. 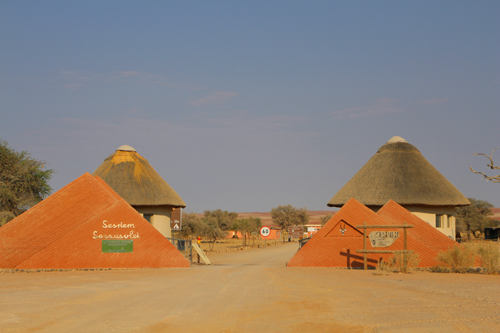 Sesriem is not a town or village but is actually a small canyon and the entrance into the desert to visit Sossusvlei, the entrance way into Sesriem is regulated by Namibia Wildlife Resorts who charge an entrance fee to drive in. The gate into the park is opened at dawn and closed at dusk, there is no entry at night., inside the park there is only two places to stay one for camping and one eco lodge, more on them later. The two gates of Sesriem. 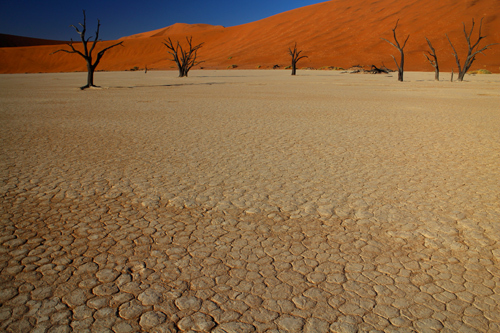 As the Namib Desert is a national park it is maintained and regulated by the Namibia Wildlife Resorts and they control visitors coming in and out of the park. There is a two gate system, the first gate (the outer gate) at opens at dawn and closes at dusk and allows you into the sesreim area only, the second gate is the road to Sossusvlei the middle of the desert where all the big sanddunes are, this gate opens one hour before dawn and closes at dusk, the reason it opens early is to allow people who are staying at the Namibia Wildlife Resorts camp site or Eco Lodge within the park to drive into the desert and watch the sunrise at Sossusvlei, if you are staying at one of the many places outside the park you have to wait until dawn until the outer gate opens then have a 60km drive so you can only see early morning not the sunrise.